Introducing a new member of the jamandahalf family (but an old member of my family) Griffin "Crime-Dogg" Halpern, or simply Griffdogg. An all time chiller and world renowned positive vibration distributer, Griffdogg has been doling out knowledge to the people of the planet for years and has blessed us with his wisdom. Thanks brother. Oftentimes when I play DJ for an eclectic group of individuals, I throw on some Sublime. Not only is it great music, I do it to please the masses. Regardless of the type of music people may fancy, everyone can relate to the energy, passion, and soul that lace every Sublime track. Bottom line, it makes the booties shake. So next time you are kicking it and want to please the heads, do yourself a favor and bump some Sublime. Sublime, the prominent So-Cal collective, spawned jamandahalfs like it was their job. Fusing punk rock, roots reggae, dub, acoustic, hip-hop, and ska, they forged a defining sound. Sublime’s music characterized their fun-loving, substance abusing, police despising, ganja toking, Dalmatian worshiping, 40 ounce pounding, surf riding, tattooed existence. This Jamandahalf, Badfish, was featured on the band’s 1991 demo tape Jah Wont Pay the Bills and later released on their 1992 studio debut 40 oz to Freedom. Badfish combines a light dub rhythm, soulful guitar solo, and classic Nowell vocals that please the ears and stimulate the senses. 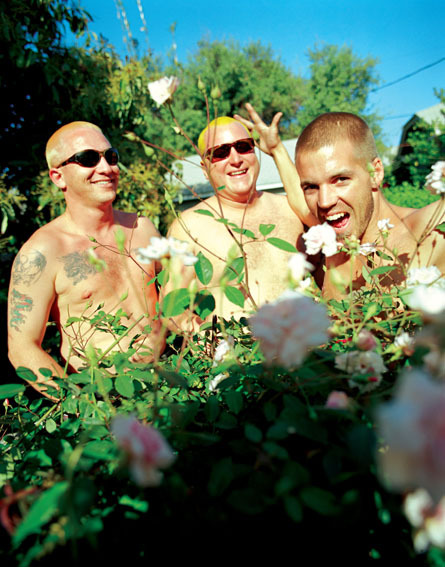 Like much of Sublime’s work the song’s playful sound and surfer lyrics disguise its true context. Most people recognize Badfish as the Jamandahalf it is, while ignoring its metaphors that tell the common story of addiction. Tragically, Nowell’s ways as a “bad fish” (or heroine user) precipitated his death and the end of Sublime. Symbolic of his struggle with addiction, Nowell tattooed the skeleton of a fish on the inside of his right arm in an attempt to disguise his track marks.